This isn't a book review cos I don't know how that works. Maybe this is more of a reaction. My name is August. I won't describe what I look like. Whatever you're thinking, it's probably worse. August Pullman wants to be an ordinary ten-year-old. He does ordinary things. He eats ice cream. He plays on his Xbox. He feels ordinary - inside. But Auggie is far from ordinary. Ordinary kids don't make other ordinary kids run away screaming in playgrounds. Ordinary kids don't get stared at wherever they go. Born with a terrible facial abnormality, Auggie has been home-schooled by his parents his whole life, in an attempt to protect him from the cruelty of the outside world. Now, for the first time, he's being sent to a real school - and he's dreading it. All he wants is to be accepted - but can he convince his new classmates that he's just like them, underneath it all? 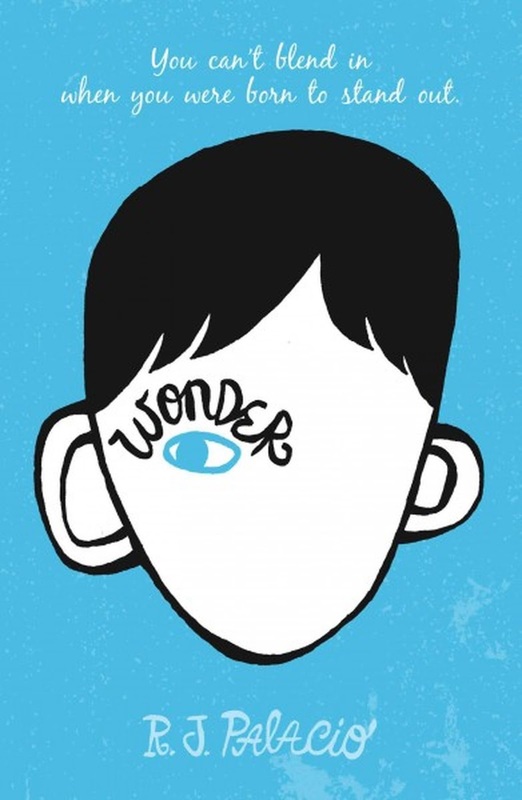 Narrated by Auggie and the people around him whose lives he touches forever, Wonder is a funny, frank, astonishingly moving debut to read in one sitting, pass on to others, and remember long after the final page. I consider it rare that I get to finish a book in less than a week! HAHA super slow reader lang #sorrynotsorry. Anyway, I loved the book because it's very light to read, has a nice theme, and relatable in many aspects because it talks about something universal that most of us have probably gone through one way or another.. school. Even though there are cultural differences, I guess my "middle school" experience (which, for me, is high school) pretty much weighs in the same. There are stereotypes: the jocks, the popular kids (who are usually the bullies too), the nerds, the outcasts, etc. I have been bullied when i was 12 and have experienced being mentally ganged up by a group of popular kids. To be honest, it doesn't get too messy in an all-girls Catholic school, no one ended up in a cat fight or with a bloody mouth, but I remember the fear. It's there, it's real. The feeling of being scared every day, of not wanting to go to school, it's all too real. And for a 12-year old, it can get really bad. It got me super stressed out. Even now, after more than decade, I can still remember how freaking awful it feels. "When given the choice between being right or being kind, choose kind"
I all out agree that we need to learn to be kinder than is necessary, and this perhaps is one of the central messages of the book. To choose kind, in whatever situation you're faced with. But to choose kind, over being right? I don't completely agree. If we disregard the right thing, what do we need justice for? You cannot teach without being right about something, and you have to reason that out. I guess the kind of 'kind' the book, or Mr. Browne (Auggie's English teacher), wishes to impart to his students is to choose kindness if you find you can't express your being right in a peaceful way. Or to choose being kind to anyone regardless of how they look like, or treat you, or give you bad vibes. Or to balance your position so that you appear more kind, than right. That's valid. I would always try to be kind to anyone, no matter my mood. Key word: try. But then, you can always be kind while being right, I guess that's the best choice. There's nothing wrong with being right. Insisting the right thing doesn't make you unkind, and in the same way being kind doesn't mean you're giving up what you're fighting for. But yeah, in whatever you do, be kind. And honest. Okay. I like Auggie, he's smart and witty and is really a wonder. I think even if he isn't suffering from a severe facial issue, he'd overall still be a great guy!